There was a time when both these teams had a chance to qualify for the play-offs. No matter good or bad, the best and worst trait about time is that is passes by quickly. Even that time for qualifying for the play-off round passed away. Then came the time when both these teams could play the role of 'spoilsport' in IPL 9. Apparently, that time passed away too. Today was the time for a dead rubber. Even that time has passed away now but the match ended as one of the best of the tourney. Kings XI Punjab's captain, Murli Vijay, won the toss and elected to bat. It was the sixth time in 14 matches that Kings XI had won the toss. Evidently, they have now lost all the matches in which their captain won the toss. Rishi Dhawan was included in the playing eleven in place of KC Cariappa against the unchanged Pune Supergiants, which was surprising to some extent. You generally expect young players to be given a go in matches such as these. Vijay and Hashim Amla started cautiously before ending the powerplay at 52-0. R Ashwin was introduced into the attack in the eight over and got rid of Amla on the third delivery. One of the finds of this year, Adam Zampa removed the new batsman in Wriddhiman Saha in the over to follow. Just when Pune was making silent steps back into the match, Vijay and Gurkeerat Singh Mann started to take on the bowling. The duo added 58 off 43 balls before Vijay completely failed to connect his slog sweep to an Ashwin delivery. With seven wickets in hand, a score of 170+ was always on the cards. David Miller was the new batsman but it was Mann who swiftly changed gears after the departure of his captain. The latter scored two sixes off Irfan Pathan, followed by a six and a four off Ashwin to complete his maiden half-century in the IPL. But his run was brought to an end on the next ball by Ashwin. Punjab received another blow when Miller took the long walk back to the pavilion in the same over. His disastrous IPL campaign ended with 161 runs in 14 matches, which came at an average of 16.10. Kings XI somehow managed to score another 18 overs of the last two overs and finished on 172-7. In his last match of this IPL, Ashwin registered his career best IPL figures of 4-34. He was well supported by Ashok Dinda, Thisara Perera and Adam Zampa, who all clinched a wicket each. Chasing 173 on such a track was always difficult for Rising Pune Supergiants. Ajinkya Rahane and Usman Khawaja scored 34 in four overs before Rahane was given out caught behind down the leg side in the following over. George Bailey was the new man in but even he could not change the course of Supergiants' run-chase. Bailey scored nine runs in 11 balls, continuing his disappointing season in which he scored 84 runs in six matches at a strike rate of 85.71. 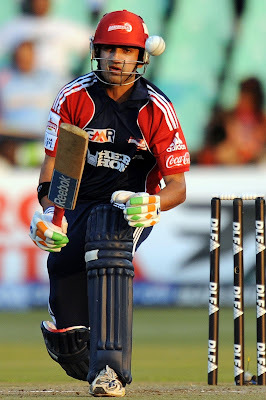 Saurabh Tiwary was sent in ahead of the big-hitters. He and Khawaja got out in the same over. With MS Dhoni and Irfan Pathan at the crease, Supergiants required 93 runs off 49 balls. The chase required strenuous efforts but it was never impossible, especially with Dhoni at the crease. Even Pathan could do no good, the left-hand batsman was played a 'no' short to Rishi Dhawan's slower one. It was all up to Supergiants' two best hitters of the cricket ball - Dhoni and Thisara Perera. With 83 runs required off six overs, all eyes were on Dhoni. All questions were on Dhoni. All doubts were on Dhoni. Critics might have disposed of his attacking batting skills but it was not the first time that Dhoni had proved them wrong. The equation was reduced to 70 off 30 balls to 54 off 24. Mohit Sharma conceded only 10 which meant that Pune required 44 in 18 balls. Dhoni took Sandeep Sharma for a six and a four bringing down the numerics to 29 off 12 balls. Mohit Sharma not only dismissed Perera on the first ball but gave away only six runs from the penultimate over. If there was someone who could hand Pune a win, it was definitely MS Dhoni. The moment he refused an easy single meant that he himself was aware of this fact. Things came down to the last over. The dead rubber was alive now. Another fact which was clear that the losing team would end up on the last position in the points table. 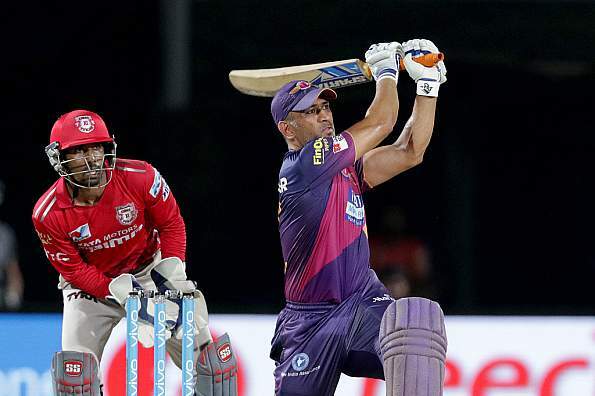 MS Dhoni scored his first half-century and bagged his first Man of the Match award in IPL9. Astonishingly, Vijay handed the ball to Axar Patel. He fired a straight ball on the middle stump, Dhoni again refused the single. The next one was 104 kmph but was down the leg side, being called a wide. With 22 needed in five balls, aerial shots were the need of the hour. Dhoni hit a six over long-on on the next ball. Patel's fuller delivery outside off-stump was hammered to the deep cover region for a boundary before Amla's desperate effort prevented it. The equation was down to 16 off 3 balls and Dhoni had to play a Brathwaite special! The next short ball outside off was hit for a boundary. Two sixes were the need of the hour when 12 runs were needed in two balls. Dhoni hit one of them off the penultimate ball over mid-wicket and best ever end to Pune's crusade was on the cards. Six runs. One ball. Nine out of ten times you would select the bowling side, but this was that one time as MS Dhoni was standing at the batsman's end. The helicopter finally took off when Patel bowled a full delivery on middle and leg. Dhoni finished with 64* off 32 balls with four 4's and five 6's. He yet again proved that he still has the 'Dhoni' of old times in him who finishes off matches for his team, who wins matches for his team!